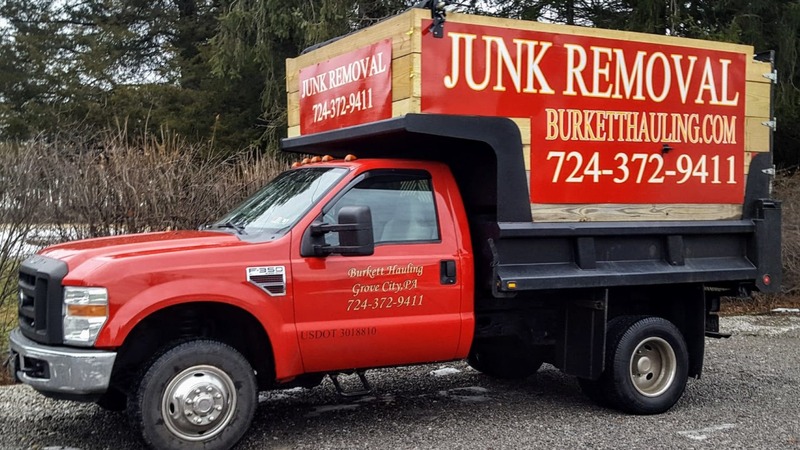 Welcome to Burkett Hauling – Your Professional Junk Removers! Our crew does this every day and we are fully insured so you can rest easy! Our professional crew will remove and dispose or recycle all of your junk without you ever having to lift a finger! We offer free onsite estimates to all of our customers and we hold to them every time! We offer options for every job, big to small. Whether you are looking for a whole house clean-out or you just need a couch removed, we can do that for you. So give us a call at 724-372-9411 and schedule your appointment today!